How is it already April?! I'm really confused. I thought Christmas was like 2 weeks ago. Why? How does time pass so quickly?! Well, my daughter's "Spring Break" starts tomorrow. I have to put Spring Break in quotes because it's just a four day weekend. Since when was Spring Break not a week? Nine days actually because you usually get 2 whole weekends. This is ridiculous! Well, I'm taking her out of town to visit her grandmother for 2 days. This will be my last post this week, but when I get back in town I'll have some new packages and some swatching to do! 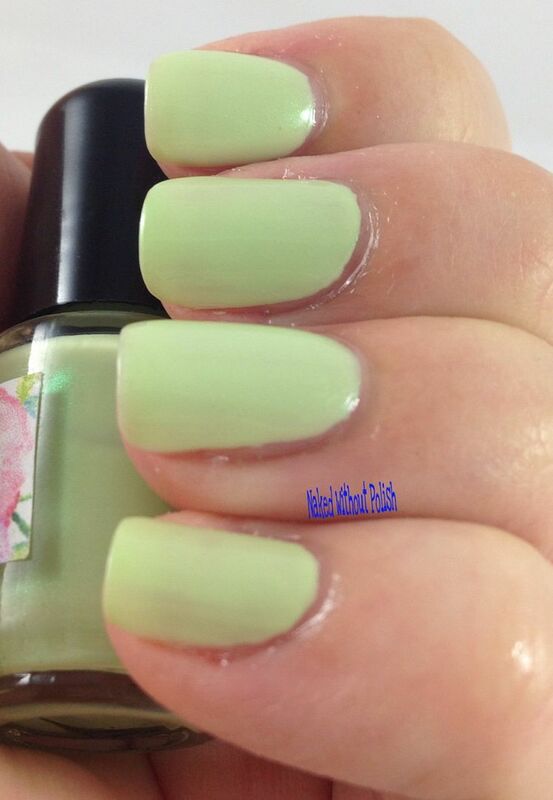 On Monday, I showed you all the entire My Secret Garden Collection from Cinema Swatch Lacquers here. When I was doing my swatching, I thought Bells of Ireland looked familiar. I had just pulled out Marie's Retreat to use with one of the Exotic Petals. Sure enough, they looked super similar in the bottle. As I was in the middle of swatching, I figured I would take some comparison shots. Some similarities. Some differences. Keep reading to find out more! 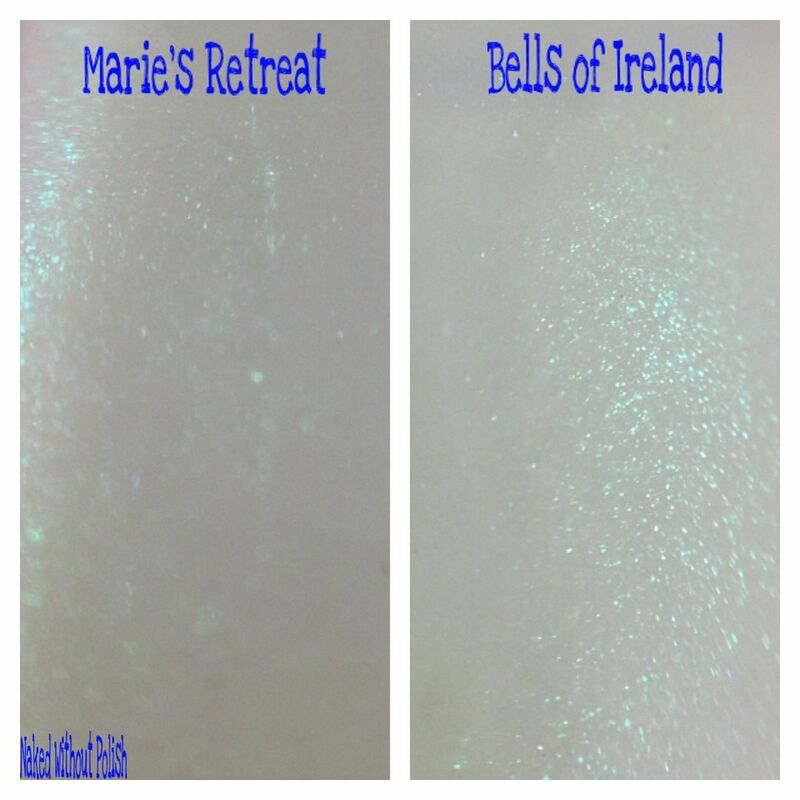 Marie's Retreat was described as "a soft grass green shade with an iridescent sheen". 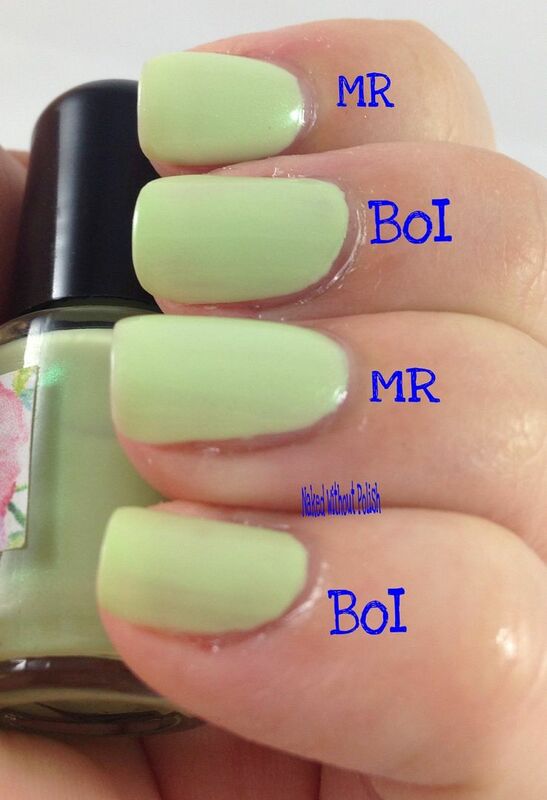 Bells of Ireland is described as "a green cream with emerald shimmer". Shown is two coats of each polish. The one on the left is more of a cream. The one on the right is more of a crelly. 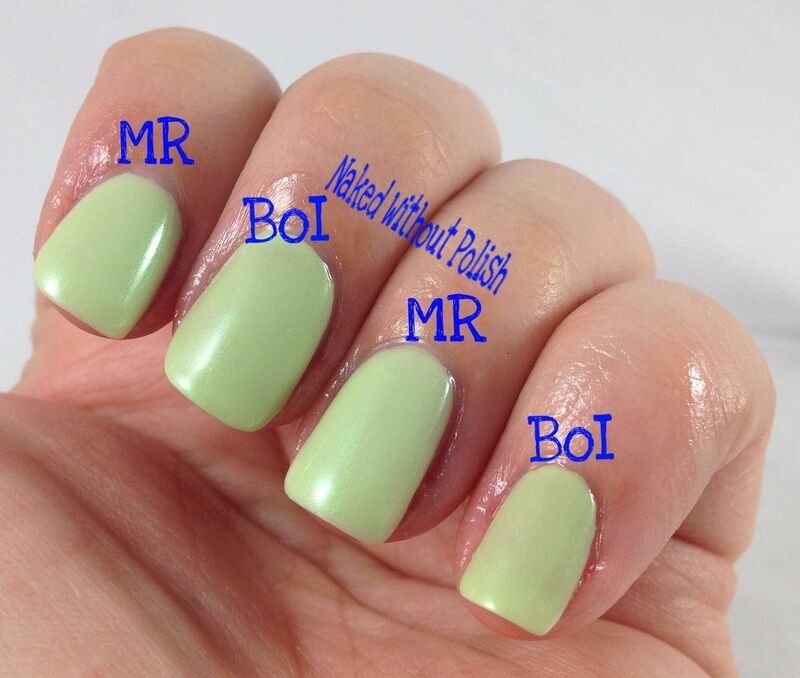 If I would have done a third coat of the polish on the right, they would be identical. You can see the bit of sheerness on my pinky and middle fingers. 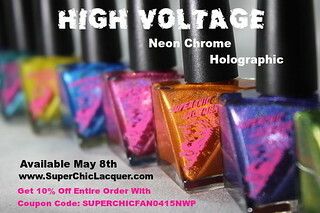 Other than that these colors and shimmers are the same. 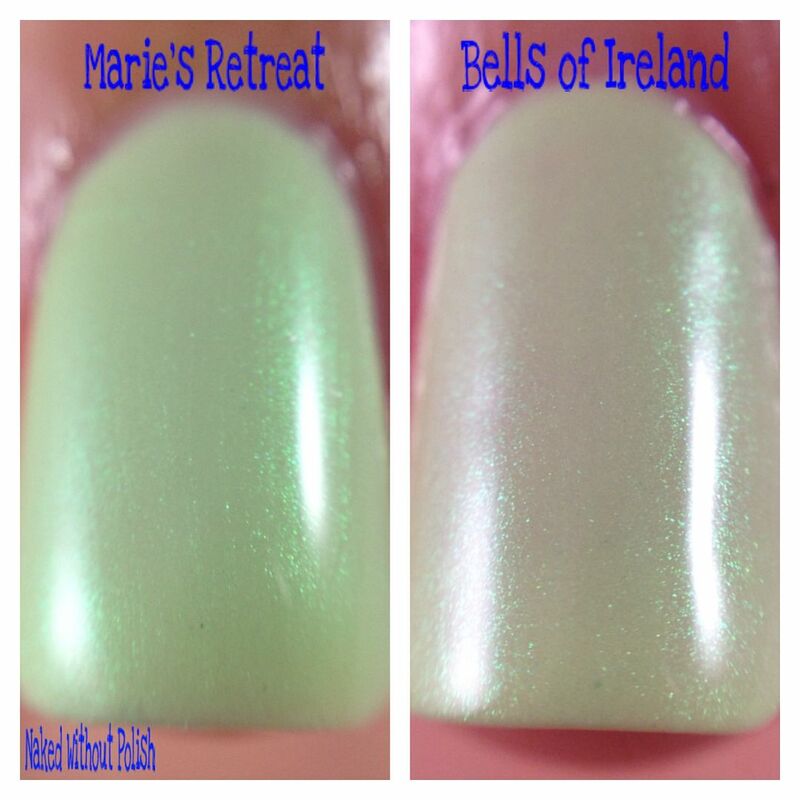 Marie's Retreat is no longer available, so if you're a fan of it or need back ups, go for Bells of Ireland. It is a perfect replacement for it. It is a crelly so three coats are needed, but that was the only difference I could find. It's available in minis only for $4. 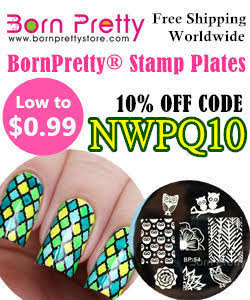 Today is the last day of her sale. Use the code CLEANUP25 to get 25% off your entire order. 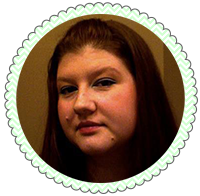 She has several different collections available and even hand and foot care products. Go poke around and take advantage of her sale!